The M32’s high standards and impressive accuracy is a perfect complement to our existing range of machining capabilities. 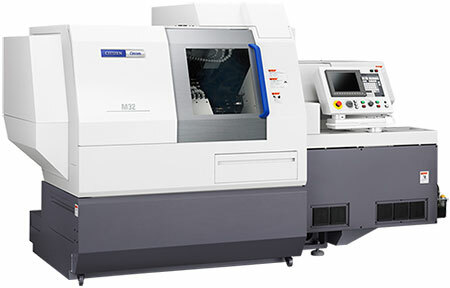 Featuring powered tooling on both a turret and a platen, 8,000rpm spindle speeds and 80+ tooling options, this full simultaneous 15 axis lathe with auto bar feed and balanced turning ensures we can satisfy customer demands for increasingly complex parts in a single operation up to 35mm in diameter. Automatic optimisation of axis overlap contributes towards a smooth operation with increased rigidity and stability. In turn this provides greater accuracy and a better surface finish on the part. Furthermore the high levels of versatility and precision provided by the M32 allows for higher bore tolerances and is ideal for both prototyping and small component development.